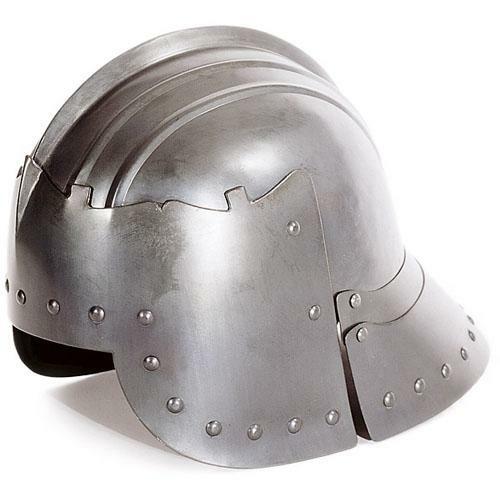 Gothic Sallet, Medieval Helmet about 1480, battle-ready style sallet of the end of the XVth century. The original is kept in Rome at the museum of Palazzo Venezia. 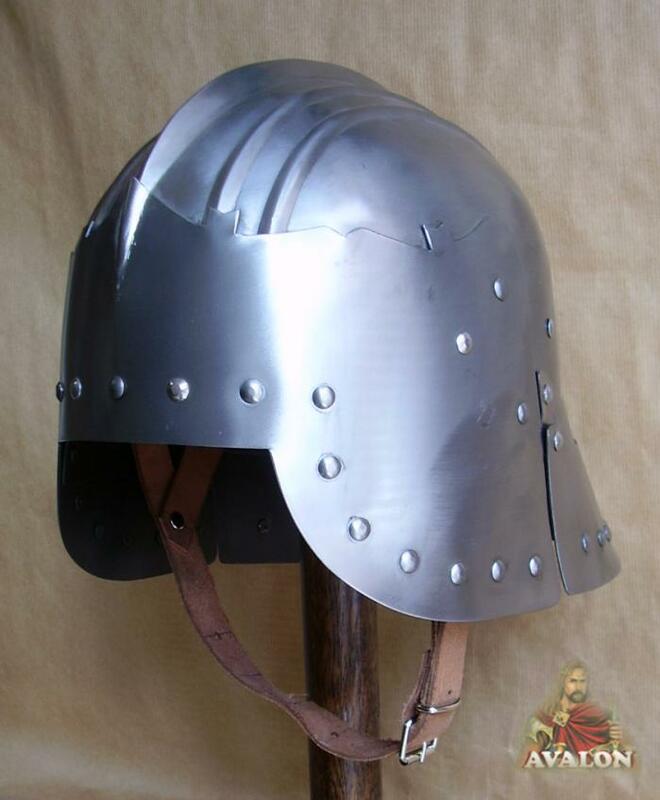 Gothic Sallet XVth century. The original is kept in Rome at the museum of Palazzo Venezia (Odescalchi Collection). 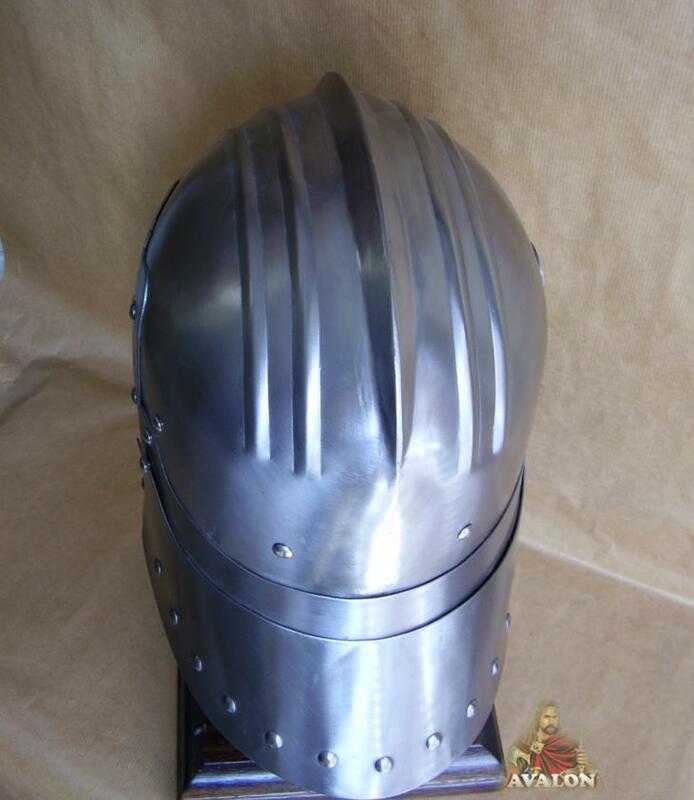 This replica of a Gothic sallet is true to original and battle-ready. It combines authentic presentation and maximized security in combat. The original is dated around 1480. 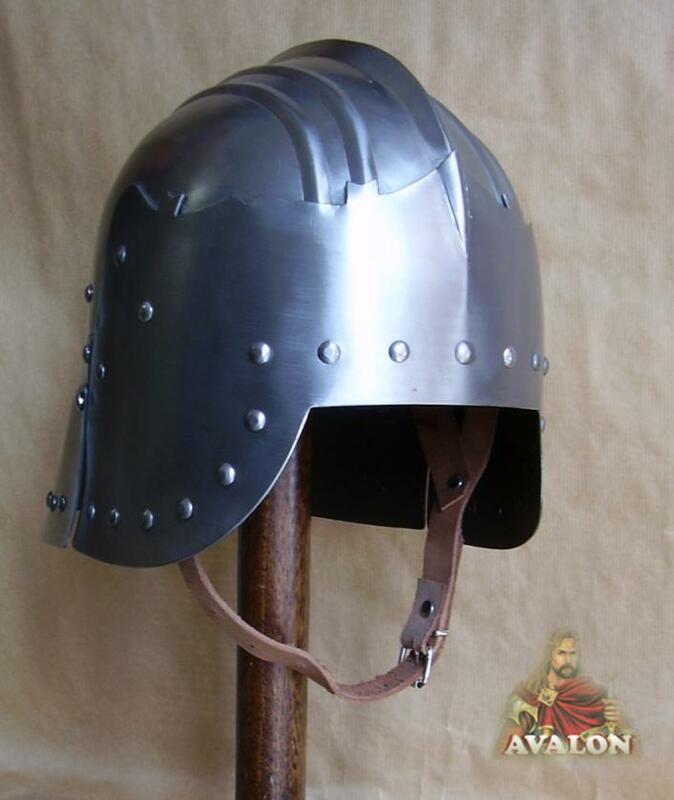 Gothic Sallet helmet for armor is a type helmet with headgear, face uncovered. 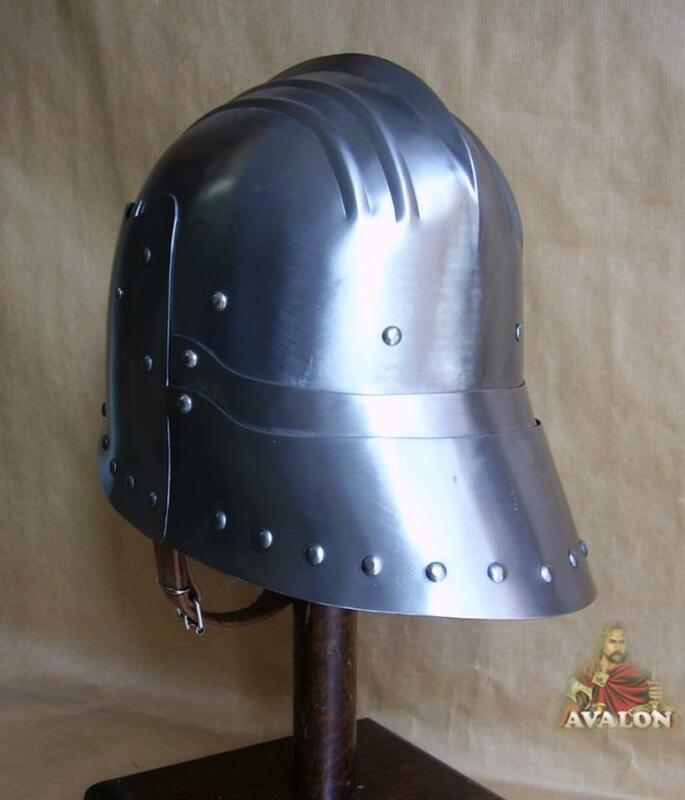 The Gothic Sallett were very popular with knights in Central Europe during the 15th century.